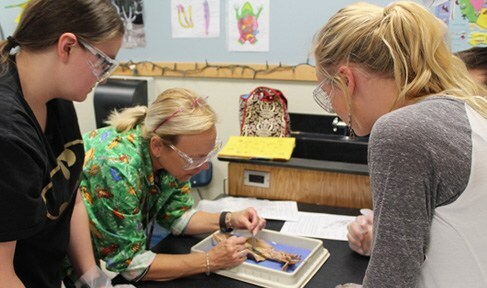 The Merced County Human Services Agency (HSA) and Atwater Elementary School District (AESD) are proud to host the second annual Community Discovery Day! 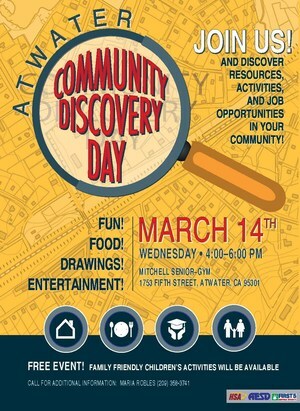 The event will take place from 4 to 6 p.m. March 14 at Mitchell Senior Gym in Atwater. 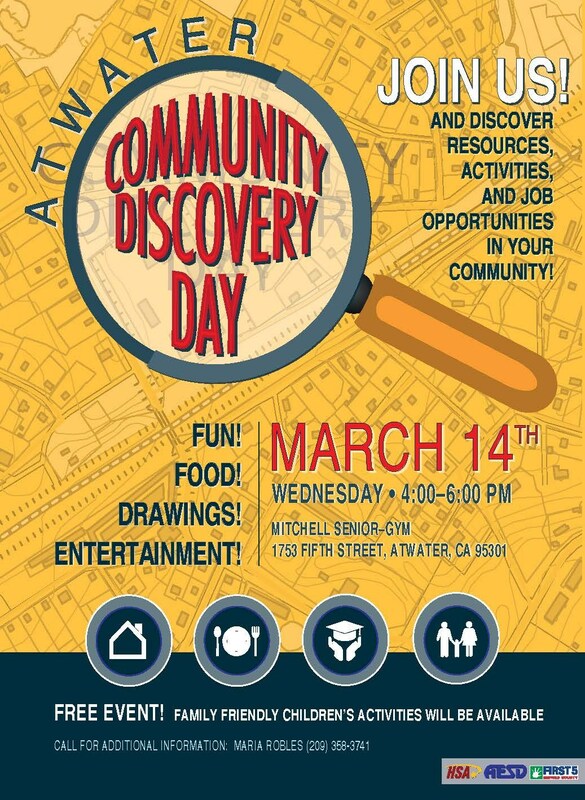 Community Discovery Day is sponsored by AESD, HSA, and First 5 to showcase local resources, employment opportunities and services available in the community. The purpose of the event is to increase awareness, foster partnerships and connect families to local agencies and resources. At least 25 different exhibitors will be in attendance to present information on the services they offer our local families. This is a free community event open to all families where children will be able to enjoy snacks, prizes and fun activities!